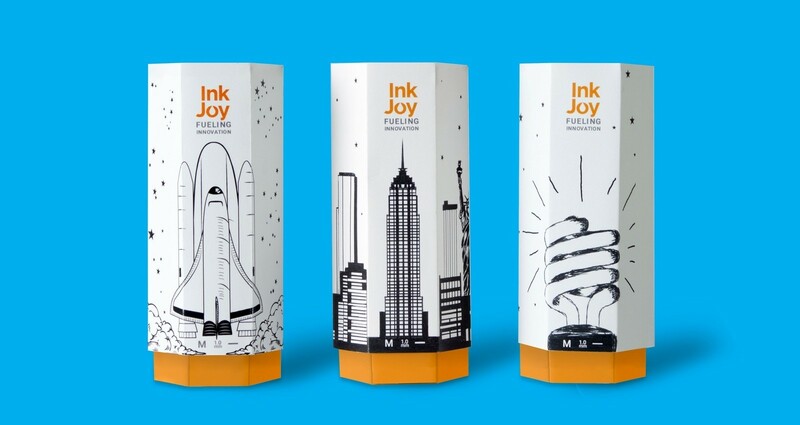 InkJoy pens is an expressive line of ballpoint pens meant to give users control over their ideas. 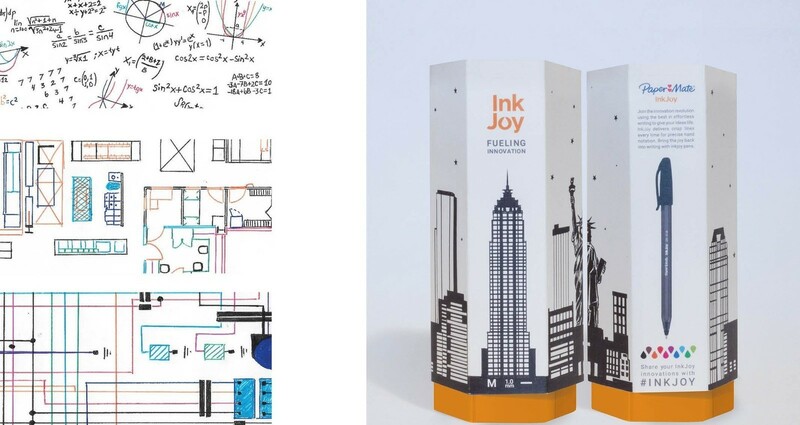 Use hand drawn illustrations to show how customers use Inkjoy pens to create their innovations. Having a pen packaging that can be used as storage for the pen color set. 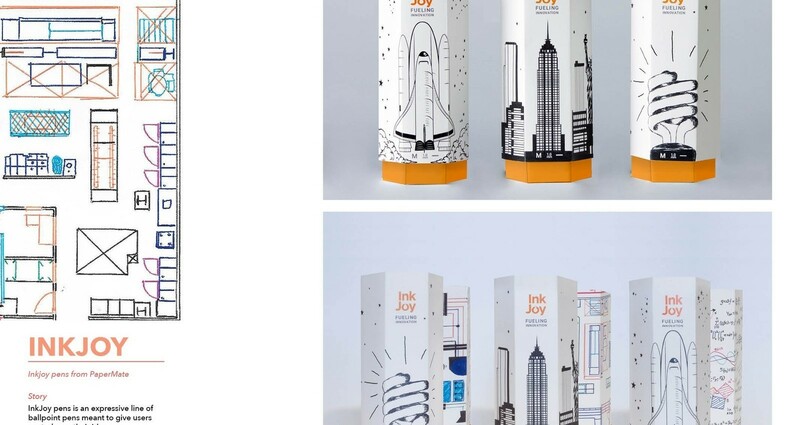 Creating a packaging solution that was both shelving friendly, and appealing for the customer to keep for storage of their pen set.